Off season is inevitably moving towards the end, riders have dusted old dust off their bikes and spent hours on those long, slow rides that builds basic endurance. Important work, laying the foundation to be able to sustain those endless hours on the bike racing endlessly around Europe in just some months time. Muscles who haven't felt a bike for weeks suddenly find themselves without the much needed efficiency they had before, the pedal stroke feels completely without the well known fluidity. The extra pounds in body weight gained makes the riders feel like the wind's holding them back on every acceleration, forcing them to a halt. Luckily, the only comfort the riders have is that they know or hope that every rider in the world feels the exact same way. Off season has actually been made shorter every year, the PROs starts TDU in just three weeks. Who will make claim the season 2011 of the "new" pros? With the term new is this context I don't mean the absolutely newcomers, those who went through the grades being continental or even stagiaires making their first contract now. I am talking about those who took us by storm this year, those few who came from nothing and despite that earning respect by the peloton. I will leave the obvious battles of the giants at le tour or the giro for now, those will be discussed much later. The soon to be 21-year old Slovak who took the cycling world by storm last spring, will probably have a season just as strong as last year. After winning the points jersey at Paris-Nice along with two stages, he disappeared. Rumours has it that Liquigas-Doimo has done so in order to protect their new star, making sure he get the appropriate amount of time to grow. What kind of rider is he? Some says he'll be a classics rider, some says he can be a top sprinter like Cavendish, others that he can be a GC rider if he drops some pounds. Big engine evolved from his time in MTB, he surprised many being so strong at that age last year. I personally believes he can be a new Gilbert. Aggressive, strong in climbs, not afraid to go into breakaways combined with his superb finish. Do not be surprised if you see Sagan first over Cipressa in 2011. Being the last man standing in Saxo 25-year old Porte could be Riis' only hope. The talented Tasmanian surprised with a strong 7th in his GT debut in the Giro including winning the young rider jersey. He also held the Maglia Rosa for three solid days, he lost it when he got sick due to food poisoning. Like many good GC contenders he is also good in TT, just missing the podium at Geelong this year. 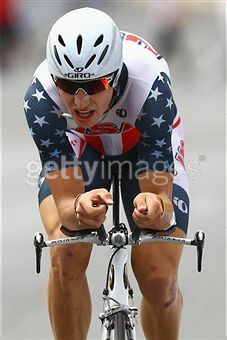 His background as a triathlete made it easy to find his place on the TT bike I guess. Porte started cycling for real only in 2006 so he truly have some good years ahead of him. With his superb season this year I believe he can really make a difference next year, at least if he is the only GC rider Riis has left. The American wonderboy with the great genes could very well be making it next season, although much points towards a season of learning and adapting. Probably worse teams to be in when it comes to learning, bet Evans, Hincapie and Ballan takes him under their wing. His transfer to BMC surprised some, who had foreseen a transfer within the line going from Trek-Livestrong to Radioshack. Despite his young age, he has already won U23 Paris-Roubaix two times as well as two U23 World TT Champion titles. Add a super strong track career to the equation and you'll have a rising star. The quiet Norwegian has been predicted an astonishing career and this season was supposed to be his. An uncooperative achilles put an effective stop to his own and everybody else's ambitions. Hagen did a superb start of the season, winning in the points jersey in Oman, along with a solo stage win. Stage wins in Tirreno-Adriatico and critérium du Dauphiné and two podiums in le Tour speaks for itself. Who knows what the outcome would have been if he didn't get injured. 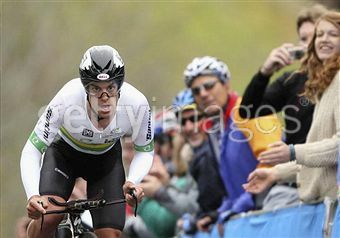 Boasson Hagen is a man for the classics although he hasn't proved himself during the longest classics yet. The upcoming season will be exciting, Boasson Hagen has been training well so far this winter, riding hard on MTB and skiing with fellow Team Sky riders Kurt Asle Arvesen and Lars-Petter Nordhaug in the forest surrounding Oslo. In Norway there is an expression that says "the new wine", referring to the newcomers who threatens the established silverbacks. These above mentioned riders are cycling's new wine- hopefully not the beaujolais noveau that causes big commotion and fuss, then suddenly they are gone. They are some of the new, the untouched ones for the time being, not affected by any of what has been haunting cycling the recent years. To me, these riders are some of the many who bring hope to the sport. Lets hope for a wonderful next year, hopefully one or more of these above mentioned riders will rise to the occasion.